Many employers hold the mistaken view that they can easily dismiss an employee during their probationary period, as the employee does not have recourse to the Unfair Dismissals Acts 1977 – 2015. However, this does not give an employer carte blanche to dismiss during probation. Employees have recourse to other legislation, most notably the Employment Equality Acts 1998 – 2015, Industrial Relations Acts 1969, as amended, and the Protected Disclosures Act 2015, none of which has a minimum service requirement. Where an employee is on medically certified absence during probation and is dismissed as a result of this absence, the employee could pursue a claim for discriminatory dismissal under the Employment Equality legislation, applying the ‘disability’ ground. Disability has been broadly interpreted by the WRC and its predecessor the Equality Tribunal, and it is likely that where an employee is ill and obtaining medical treatment, this will bring him or her within the disability ground. In the circumstances, the approach to dealing with absence during probation should be balanced and appropriate. In the first instance, the employee should be assessed by the Company doctor, to determine fitness for work and whether this condition is likely to remain or reoccur in the foreseeable future. In addition, the Company doctor can advise whether any accommodating measures can be introduced in respect of the employee. A return to work meeting should be arranged with the employee and the situation discussed. It is also advisable to extend the probationary period for the duration of the sickness absence and this should be confirmed in writing. The situation should be kept under review and managed in the same way as any employee on long term sickness absence. This may include hiring an employee under a fixed term contract to backfill the absence. It may ultimately be the case that the employee does not have the capacity to undertake the role and dismissal could occur as a result. However a dismissal for incapacity needs to be examined in a structured way, relying heavily on medical advice and consultation with the employee. The probationary period itself should also be managed carefully and any performance or conduct issues arising should be addressed, separate to the absence issue, and at all times have regard to fair process and the principles of natural justice. Otherwise the employee could pursue a claim for unfair dismissal under the Industrial Relations Act, 1969, as amended. It is worth noting that claims taken pursuant to the Industrial Relations Act provide for a recommendation only, which is not binding on the employer. Therefore, in many cases, employers respectfully decline to attend. However, from a practical perspective it is worth bearing in mind that adverse publicity may result for a recommendation. In addition, if the employment is unionised, it will be difficult for the employer to ignore a recommendation from the WRC or the Labour Court. The issue of absence during probation was examined by the WRC in the case of ADJ-00002259 and a recommendation was made by the Adjudication Officer in favour of the employee in the sum of €6,000. In this case, the employee was hired in September 2015 and was within his probationary period when he took time off on two occasions. The first occasion was for 6 days due to a family emergency and 4 days due to a medically certified episode of Bronchitis. On both occasions he kept the company fully informed of the status of his absence through telephone contact primarily with the HR & Training Manager. Both instances were unpaid. At no time did the company make the employee aware either verbally or in writing, before or after each instance that they had any concerns with regard to these absences as being an issue. The employee was invited to a meeting on 26 November 2015 and was summarily dismissed at that meeting. The company’s rational for the dismissal was that it had discretion to summarily dismiss for absence issues during probation. The company did not appear and defend the proceedings before the WRC. However having regard to the evidence before her, the Adjudication Officer determined that the termination of employment was procedurally flawed and in breach of the provisions of the Code of Practice on Grievance and Disciplinary Procedure (S.I. No. 146 of 2000). She held that the dismissal was therefore unfair and awarded the sum of €6,000 to the employee. Employers will also be aware of the recent publicity surrounding a recommendation against the Kenmare Park Hotel in which the Labour Court awarded the sum of €90,000 to the employee. The Labour Court determined that the employee was denied fair procedures by the Hotel when effecting his dismissal. Helpfully, the Labour Court accepted that if an employee is considered unsuitable for permanent employment, that an employer has the right, during a probationary period, to decide not to retain that employee in employment. However, the Court took the view that this can only be carried out where the employer adheres strictly to fair procedures. In this regard, the Court placed significant emphasis on the Code of Practice on Grievance and Disciplinary Procedures (S.I. No. 146 of 2000). In all of the circumstances, employers should exercise caution when effecting dismissals during probation and have particular regard for due process and the principles of natural justice. Antoinette is a Partner in RDJ’s Employment Group. 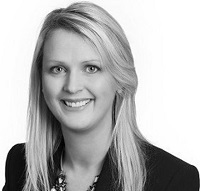 She has extensive experience providing practical and strategic legal advice to clients in a range of areas such as wrongful and unfair dismissal; discrimination; absenteeism and work related stress; performance management; temporary and contingent workers; collective redundancies; restrictive covenants and severance agreements. She also devises in-house training sessions and policies for clients in respect of grievance and disciplinary matters, dignity at work and social media. She has broad experience representing clients on employment claims in the Workplace Relations Commission, Labour Court and High Court together with gender discrimination claims in the Circuit Court. Having qualified as a mediator with the Centre for Effective Dispute Resolution in 2013 (specialising in employment and workplace disputes) she offers informed advice to clients involved in mediations. She has also been able to expand the firm’s offering for clients with an independent mediation service.